Rubbermaid's 50 gallon recycling can provides a crack-resistant plastic container for both indoor use. 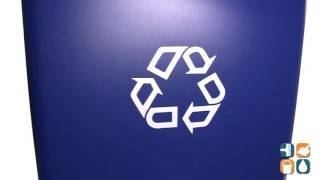 These blue plastic containers are the perfect addition to any environment where recycling is emphasized. 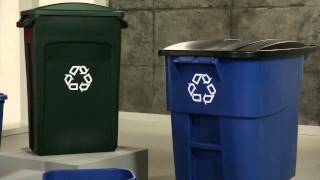 Rubbermaid 50 gallon recycling containers are a sure way to make a positive environmental impact. Coming in a light blue color complete with a “WE RECYCLE” imprint in white. High-capacity collection container for high-volume areas. 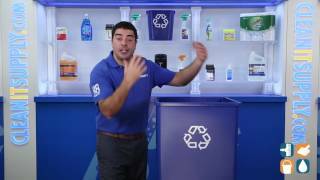 Bottle Can Recycling Top RCP2791 BLU (sold separately). 19-1/2" Square x 34-1/4"tall. (Cannot ship via UPS).